At the dawn of the e-book era, it was feared the advent of new technology would eventually see the demise of the physical page. But those worries should be put firmly to rest, according to a study, as the rate of digital book sales is slowing enough to end the debate. The chief executive of the Publishers Association declared the question over the future of the physical book “redundant”, as research showed that children’s books had their best year of sales since Harry Potter. 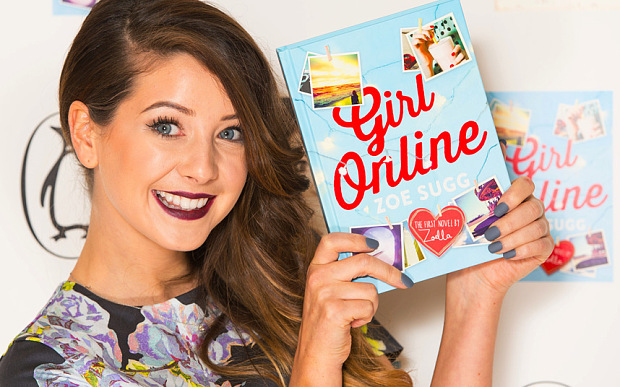 Furthermore, the rise, of 11 per cent, has been inspired in no small part by the digital world, with bestsellers including books inspired by the popular computer game Minecraft and a novel written by the YouTube “video blogger” Zoella. The Publishers Association’s annual report, which takes into account physical and digital sales from more than 100 British publishing houses, showed that the overall book industry is worth £4.3 billion to Britain. Since 2010, physical book sales have fallen by 13 per cent. Digital accounted for 17 per cent of book sales last year, but the rate of its increase as a proportion of the market has slowed. E-books accounted for 15 per cent of sales in 2013, 12 per cent in 2012, 8 per cent in 2011 and 5 per cent in 2010. Sales of children’s books rose 11 per cent to £349 million, making 2014 the most successful year for the genre since 2007, when JK Rowling’s final Harry Potter book was released. For the publishing market as a whole, digital and physical, sales fell 2 per cent last year. Cally Poplak, managing director of Egmont UK who contributed to the report, said: “The decline of reading for pleasure and the rise of digital have dominated the headlines recently, but here is the real story: 2014 saw the best performance for the children’s book industry since 2007 – the year of publication of the seventh Harry Potter novel. Hard copy fiction sales fell 4 per cent, although the Publishers Association still believes the book market is “buoyant”. Richard Mollett said: “The main message from The PA’s statistics – as well as a variety of other quantitative and anecdotal data points – is that the question of how physical books will fare in the digital world is redundant; as is the corollary question of whether publishing will successfully adapt to the online age. “Those who ever tried to maintain that this was a binary choice have been shown to be have been posing the question in the wrong way.